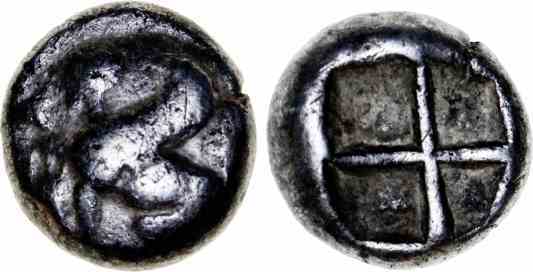 Silver tetrobol, 10mm, 2.13gm, issued 435-425 BC. Obv: Winged sphinx seated left, grapes above amphora before. References: Sear 4596, HGC 1126.